Ting-Ting arrived to Outcast Rescue from a Philadelphia shelter that found her midsummer walking the streets alone and stray suffering from a severe case of Demodex Mange. Ting-Ting’s body was roughly 60% covered by this condition with open infected lesions occurring on her face, neck, trunk and legs. The generalized symptoms included alopecia (hair loss), redness inflammation of the skin, and open scales and lesions with irritation that caused her to scratch endlessly. Demodex Mange is not contagious to people, but stigmatizes the animal due to it’s visual and tactical presentation. Ting-Ting had lost a majority of her hair with infected lesions that had a distinctive foul odor and feel. Fortunately, Outcast Rescue with the support of our excellent veterinarian team accepted the challenge of Ting-Ting’s condition. Treatment for the mange included hydration, nutritional support, frequent medicated baths, pain management, and anti-inflammatory medications. A few weeks later, Ting-Ting is almost fully recovered with her beautiful coat returning and a playful loving personality being demonstrated as she actively plays with the foster’s fellow dogs. 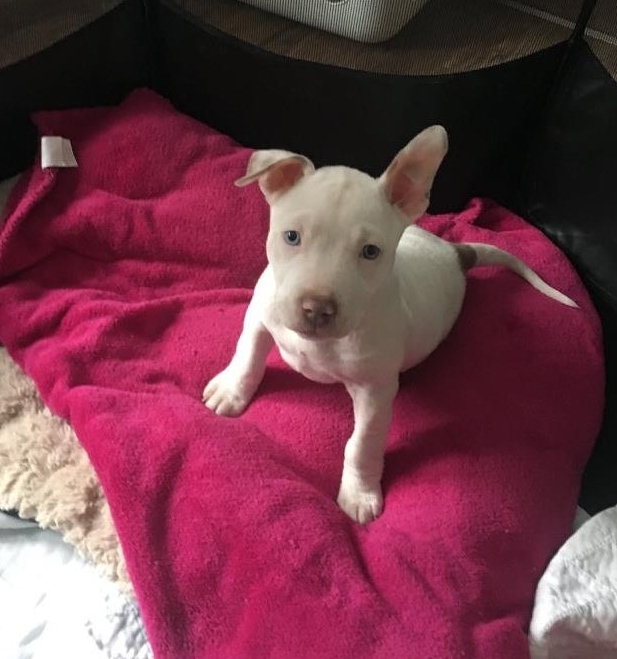 Outcast Rescue will be looking for a home for Ting-Ting that will continue to support her energetic playfulness and provide her with the love she deserves. Outcast Rescue’s mission is thoroughly supported by the heartbreaking story of our new arrival, Princess Sophia. Princess Sophia is a shy and quiet canine that was thankfully removed from her environment by a family member of a cruel uncompassionate neglectful owner. Princess Sophia reportedly spent a majority of her life isolated and alone living within the confines of a closet. A cramped dark environment and the lack of a loving responsible owner that barely provided the basic essentials of life created her deteriorating life threatening condition. Arriving at Crown Veterinary Specialist, emergency diagnostics and stabilizing interventions were provided. The veterinary team quickly contacted Outcast Rescue for assistance in fostering Princess Sophia and she was accepted in to our healing environment. Princess Sophia was hydrated, pain managed and diagnosed with severe bladder stones with hematuria and dysuria. The veterinarians noted, if the multiple bladder stones were not removed the bladder had a strong possibility of rupturing or obstructing creating a life threatening condition. 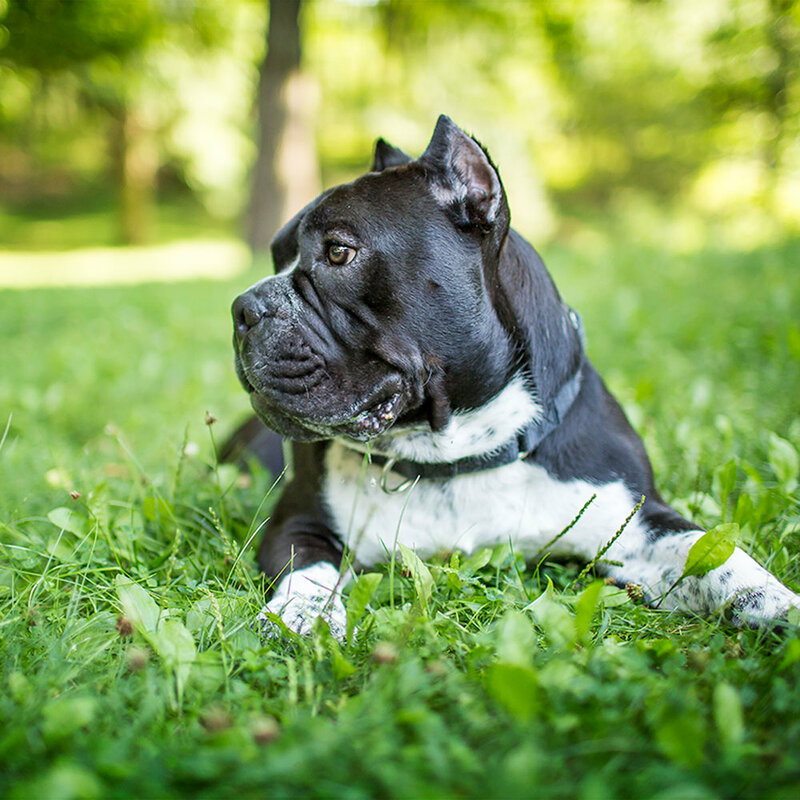 Dozer was a stray from Camden, NJ. He has what is called "cauliflower" ears. The insides of his ears are filled with hematomas and infection. Dozer is being treated medically to reduce the swelling and clear up the infection. He will more than likely suffer some hearing loss because this was let go for so long. 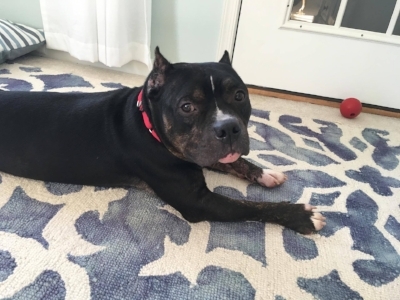 Jethro was saved from Philly after having an altercation with another animal. He was taken to our vets where he had surgery to repair his lip that was torn from his jaw, teeth extraction and repair of several open wounds on his legs. Quinn was surrendered to a high kill shelter after suffering a fall from a bed. She was taken to our vet where X-rays revealed a broken leg. She was placed in a cast for several weeks to allow for healing. Phoebe is an elder girl with a young heart who found herself in the kill shelter when her owners said they were moving. Phoebe had a major infection in her mouth from rotten teeth and a large growth on the side of her neck. She underwent surgery to repair and extract her teeth and remove her growth which was benign! Charlie made his way to the high kill shelter after being found with a horrible wound that had his knee opened wide up. He required surgery to repair it and physical therapy. Just a baby, Angie was found on the streets of Philly. Angle had a severe case of mange and was anemic. After discovering a heart murmur, Angie underwent an angiogram where it was determined she has a deformed coronary artery and pulmonary stenosis. Jasmine came to us from the Lehigh County Humane Society after she was discovered on the street limping. Jasmine had a broken leg. After several weeks in a cast, Jasmine found her forever home. Jimmy was found on the streets of Camden, NJ. Jimmy is suffering from untreated bilateral elbow luxation. He will be undergoing 2 surgeries called Arthroscopy to attempt to put his elbows back in place. Should this not work his elbows will then be fused to save his spine and hips from further damage. Jimmy will then go through months of physical therapy. The estimated cost of just the 2 surgeries is approx. $8,000 then physical therapy will be $150 per week for at least 4 months. Kira was found as a stray after being hit by a car. She was brought to our emergency vet where she was diagnosed with a dislocated hip. She was placed under sedation and the hip was put back in place. Garbanzo was found running the streets of Camden, NJ eating a dead opossum. Shortly after being in foster care he exhibited signs of excessive thirst. After bloodworm revealed an acute kidney issue he was hospitalized. Garbanzo tested positive for Leptospirosis and is currently recovering. Lance was surrendered to a high kill shelter when his owner claimed he had too many animals. His face was swollen and scabby. After seeing our vets he was diagnosed with puppy strangles. He recovered a few weeks later. Yoshi was surrendered to us by a young couple who purchased him from a pet store. A few days later he was hospitalized with Parainfluenza & pneumonia. He spent several days in the ICU in an oxygen tank. Rayney and her sister Reese were surrendered to us at just 3 weeks old after they were found in a box outside a store. Not too long after arrival, they both became sick with Parvo. Both spent days in the hospital and unfortunately Reese crossed to the rainbow bridge. Rayney made a full recovery. Ethan was found in Philadelphia and brought to ACCT, Philly. He was so hard to look at as he was literally a walking skeleton weighing under 30 lbs. After going through re-feeding, Ethan gained the needed weight to be healthy again. Ethan also had a cancerous mast cell tumor removed from his side but has since had a clean bill of health.